1. Blog should be written in Gujarati or English language only. 2. Blog should have minimum 700 words and maximum 1500 words. Blog may contain the photos. 3. One participant can submit only one blog in one subject. 4. One participant may submit the blog in all three subjects. 15-October-2017 is last date to submit the blog. 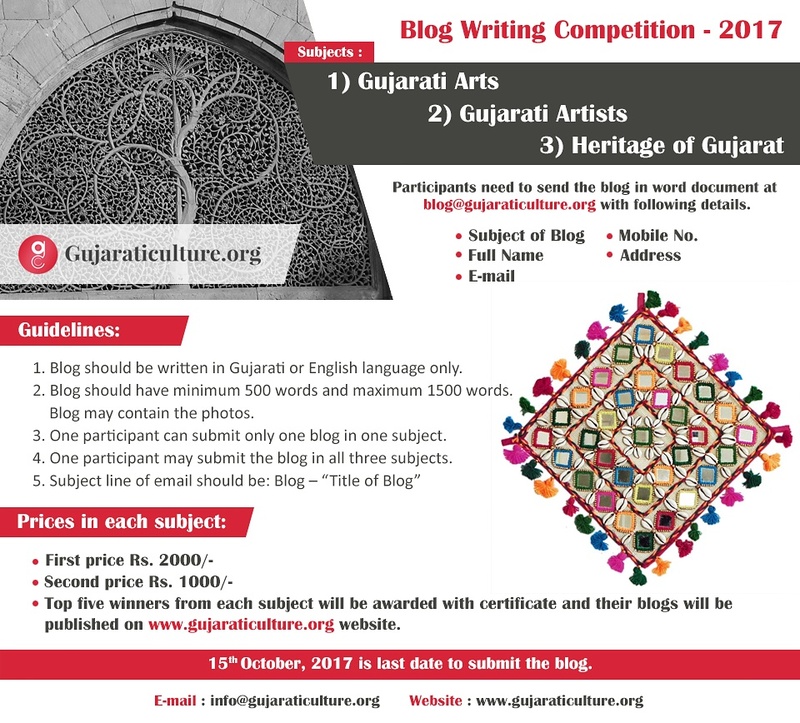 Top five winners from each subject will be awarded with certificate and their blogs will be published on www.gujaraticulture.org website.